There was a time when professionals expected to spend 30 or 40 years with the same company, a career that might end with a nice pension and a gold watch. For most of us, however, that’s no longer realistic. When you are able to retire early, you’re likely looking for a strong opportunity where you can learn new skills that build on the base of knowledge you’ve already acquired. What if the perfect Career 2.0 solution wasn’t another job at another company, but owning your own Menchie’s frozen yogurt franchise? 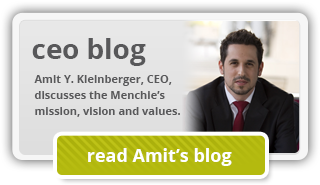 There are a number of advantages Menchie’s offers as an investment opportunity, and you might be surprised to learn how valuable your existing skill set is. A premium line of certified kosher frozen yogurt plus our mix-weigh-pay option are guaranteed to put a smile on our guests’ faces. Our franchisees come from all different backgrounds. Some are corporate leaders and executives looking for a second career to provide active retirement income. Some of them are looking for a family business they can grow to leave a legacy for their kids. Some have taken time off to raise their children and are now ready to rejoin the workforce. 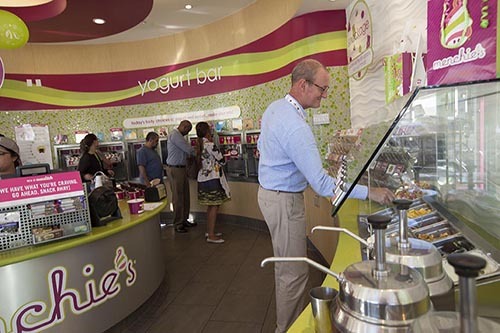 Our ease of operations and scalability make Menchie’s an attractive option for all kinds of entrepreneurs, allowing them to run their own business in the foodservice segment even without restaurant experience. You don’t have to have experience running your own business, but you should be someone who understands how to create a strong team and motivate others. You should be passionate about our corporate mission and passionate about people. Menchie’s is a welcome addition to every community, offering a place for people to sit back, relax and forget their worries as they share a delicious personalized frozen dessert. 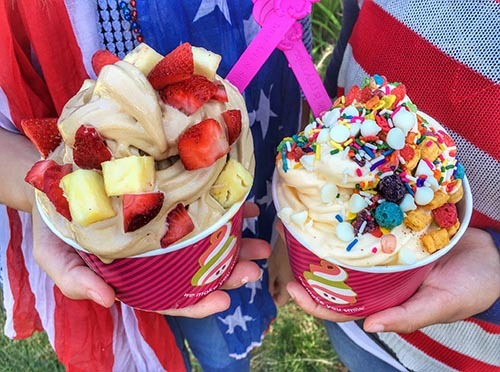 Menchie’s froyo franchise started out as one humble but ambitious location in Southern California in 2007. From there, we have grown our presence across the nation and around the world. With 500 locations globally, we’re the largest self-serve frozen yogurt franchise in the world, and we’re continuing to grow. We’ve been able to do that not just because we’re a great concept, but because we’ve developed the systems, the supply chains, the business processes and the experienced support team that make up the blueprint for success we provide to every new franchise owner. Our success is intricately tied to the success of our franchise owners, and we do everything we can to ensure that they have everything they need to oversee a thriving business. Above all, we keep our true key to success top of mind: We make people smile. That’s the whole reason our company was founded, and we always keep that in our sights. We’re not saying there won’t be spreadsheets. Every good business has to make the numbers work. Just know that your main purpose each day won’t be about presentations and sales pitches. It will be about making people smile. It will be about improving your community. It will be about building a business you can be proud of and pass down to your children someday. And it will be about becoming a part of an organization that shares all the same values you do. If you’re ready to embark on a new phase of your career and you’d like to explore owning your own Menchie’s frozen yogurt franchise, we’d love to start a conversation with you. We invite you to explore our research pages or fill out the form on this page to download our free franchise report.